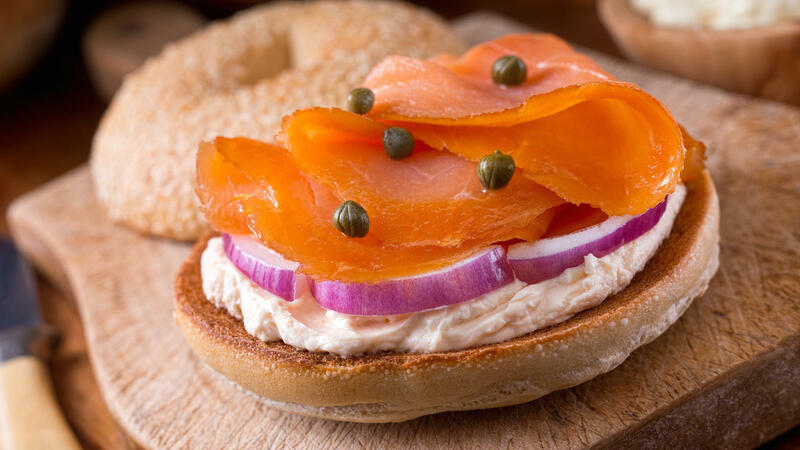 The Orchard Grocer’s bagel with cream cheese and lox looks pretty standard at first glance — a bed of silky salmon-hued ribbons, sliced so thin they’re almost translucent, sits atop a bagel that’s artfully schmeared with cream cheese. However salmon-like, the lox is actually made of smoked carrots, cured with a classic blend of spices. That cream cheese? It’s really a smooth puree of cashews with a rich consistency similar to its dairy doppelgänger. Here's a sneak peek at what we're working on with @chef_joya for our deli menu! This #carrotlox bagel is going to blow your mind. With the growing popularity of vegan takes on the classics, it was just a matter of time before a vegan Jewish-inspired deli found its home in the Lower East Side. The Orchard Grocer, opened by sisters Erica and Sara Kubersky, reinvents Jewish deli staples with a vegan, whole-foods and from-scratch approach. The sisters, who both eat plant-based diets, grew up visiting Katz’s Deli and Russ & Daughters and later began re-imagining their favorite Jewish dishes without meat. Now they bring their meat-free, fish-free Jewish favorites to the masses in a way that celebrates the feeling, history and culture of the Jewish Lower East Side.